By Julia Gamolina Sandra McKee is an architect and partner at Yoshihara McKee Architects, established in 1996 with offices in New York and Tokyo. Previously, she was a project director at Rafael Viñoly Architects, where she worked on the Tokyo International Forum. In her current practice, projects range in type and size from small residential works to large scale urban interventions, all with innovative uses of under-utilized materials. 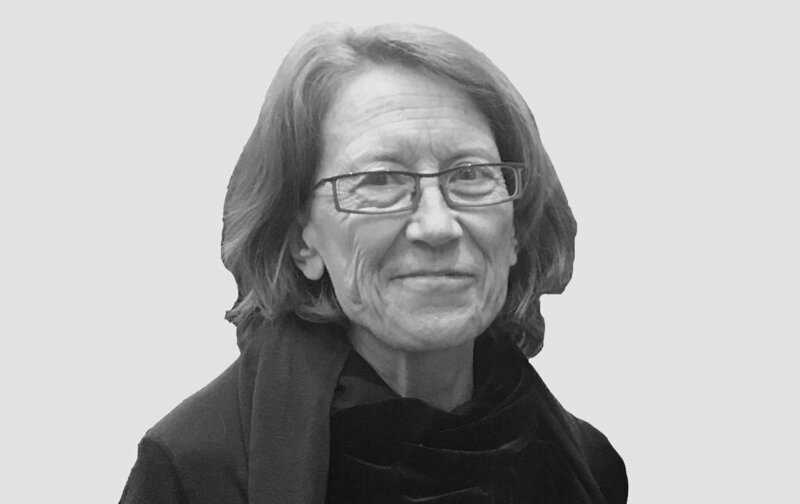 Sandra is also an adjunct professor at Fordham University and Columbia University, and a visiting critic at architectural and interior design schools including Pratt Institute, and City Tech. In her conversation with Julia Gamolina, Sandra talks about navigating difficult situations, starting a firm, and teaching, advising young architects to try different things and to not be afraid to move on. How were your early experiences in the profession? Straight out of school I worked at Diamond Schmitt Architects in Toronto. Four people from my class all got hired at the same time, so it was a little bit like being in studio again – really intense, long hours, but fun. I worked on good projects and learned a lot, and it was a great way to start a career because you followed a project through there, from the design to the working drawings. I had been there for three or four years, and then my boyfriend was moving back from New York to go to school. He had an apartment there and said, “Why don’t you come and take my place.” I had heard how hard it was to find a place to live in New York, so I took the opportunity, moved here, and stayed! I first worked for a friend who had gone to Columbia, and then after that I worked for a design-build firm. We did small houses up in Westchester - I carried blocks and did the wheel-barrow. We were basically free unskilled labor, but it was good experience. They did admit that I was a “flowerpot hire,” meaning the only woman, because they needed someone to liven up the office. This was in the 80s and times were different – probably not the best environment, looking back [laughs]. You then went to Rafael Viñoly Architects and were there for fifteen years! Tell me about this time. I started working on Lehman College in the Bronx and was later transferred over to the Tokyo International Forum team to be a Project Manager for a specific area of the project. We developed the drawings, and then I was one of three from the New York office sent to Tokyo. I was in charge of the theater side of the building, and my colleague was in charge of the glass hall. I stayed for four years, and I would have stayed longer. After I got back from Tokyo, I worked on the Philadelphia Performing Arts Center and Jazz at Lincoln Center, becoming a bit of a theater specialist, but I also did the Icon lab at Princeton. The nice aspect of working for Viñoly was that you got to work on a variety of projects and the office always had great teams – I met a lot of interesting people. However, the office was also a very competitive place. There was a demand to work long hours - if Rafael sees that you’re staying late, it’s his interpretation that you’re working hard, and this led to some competition. How did you persevere for so long in a competitive environment? Almost everybody that I worked with directly was really nice, so that made a big difference. I did work pretty intensely – at least in Tokyo, because you draw something one day and they build it the next. If you don’t stay until 11pm and fix something, it will not be built the way you envisioned it. In New York, I was much more laid back. I worked on weekends, but when I finished something, I would leave on time. As Project Director, when you leave, your team leaves, so I tried to lead by example and encourage more sustainable hours. How did you learn to manage during your time at Viñoly's? It’s a good question because it’s not something you’re taught in school, it's not something you're directly taught on the job, and it’s not easy. I’m sure part of it comes naturally but a lot of management is about having an opinion and being able to back it up. There were also over 100 people working at Viñoly’s office, and I got to work with a lot of different types of managers. After fifteen years, I could see what worked and what didn’t, and I was able to find my style. I know some people at Viñoly’s would yell at their staff – I tried to never get upset in that way. It’s easy to not get upset at your colleagues when you see how hard they work. Almost as soon as I got back from Tokyo, my sister died. She was only two years older, and for me it was a real wake-up call – I began to want something more stable. At that time, I was working on the Philadelphia Performing Arts Center and the Graduate School of Business in Chicago, and the combination of these projects was really intense. In the end, I was going to Philadelphia two days a week, Chicago for two days a week, and then I would only spend one day in New York. In Tokyo I also met my husband Hiroki – he worked for Viñoly's Tokyo office, and then left because he was interested in starting his own firm. During Tokyo Forum, we would work every day until 11pm, and still somehow managed to do a few competitions together. We realized we liked working together and had similar sensibilities. Since I wanted more stability and didn’t see another theatre project on the horizon at Viñoly’s, Hiroki and I decided that it was time to start our own firm. Rafael actually gave us our first project, a lab and a doctor’s office! Since I worked on the Icon Labs at Princeton, I had that experience. I left on great terms – we had a wonderful party and I truly appreciate the opportunities and trust Rafael had given me. How is it running a firm with your life partner? Hiroki never stops working [laughs]. He’s much more ambitious than I am. My whole thing in school was that I wanted to do good buildings to make a better world. He also wants to do good buildings and make a better world, but he’d also like to get recognized for it. He’s much more aggressive and wants to get better jobs and would like to grow the firm. There’s friction there sometimes, but other than that, sharing a life and working together is wonderful. We go on holidays and do our architectural tours. There are also a lot of things that aren’t particularly architectural that we share and enjoy - we both like gardens and will go up to the Botanical Gardens four times a year. Hiroki also cooks, so that makes a huge difference [laughs]. I know you also both love origami! That’s definitely Hiroki’s input, but it turns out I’m the folder! The models are fantastic things that literally pop to life - you start off with a flat piece of paper and you fold, and it’s quite difficult while you’re working away, but then suddenly it’s three-dimensional! We’ve definitely taken the folding concept and technique and applied it to some of the ways we handle materials in our projects. We also make hats – we go to the Easter Parade every year and wear them [laughs]. Throughout your career, you've also taught a lot. I’m on sabbatical now, but I’ve been teaching in the Visual Arts department at Fordham for twelve years. It’s a liberal arts school and my course is an introduction to spatial concepts. At Columbia, I was teaching in the tech section, and again I think I was one of those flower pot hires because there were no women in the tech section at the time. Someone once said to me, “Oh, that’s because women aren’t interested in technology.” I couldn’t believe they said that! I’ve also taught at City College and City Tech, and just recently went for reviews at the University of Toronto; I’ve always kept some connection to academia. I believe all students will become better citizens if they know more about architecture. How does your teaching help with your practice? Teaching keeps you on your toes and up to date since you’re always looking at what’s current. Teaching also helps me realize why students out of school don’t have all the skills I’d like them to have [laughs]. I’ve been practicing for over 30 years, and forget that gaining all the skills to be successful in practice takes a lot of time. The thing teaching has helped me with the most is it forces you to communicate very clearly and respond quickly – you react right away to students’ work. Probably taking big leaps without overthinking too much. Coming to New York was a big change, and fairly adventurous for me – if I thought much more about it, I don’t think I would have done it. Going to Tokyo was also one of those leaps, though it seemed like a very natural step at the time. Leaving Viñoly’s was a huge leap, especially because Hiroki and I were older when starting our firm. I didn't have a deeply inquiring view about these leaps – I made decisions fairly quickly and just went for it. This approach goes back to being a good manager - if you can make decisions quickly and feel confident about them, that helps. What have been some challenges in your career and how have you overcome them? I come from a blue-collar background - the University of Waterloo was a co-op school, so people from all backgrounds came and you could go to school and also work and pay for your education that way. In the States, it seems that a lot of architects are from very well-off families. I guess I’ve always felt that a little bit. Even culturally - you always feel a little bit like you’re trying to catch up to the people you're surrounded by. I’ve dealt with it by not saying anything about something I didn't know. I probably came off as shy or quiet, but if I didn’t know about something, I withdrew and didn’t participate. This approach is maybe not the best in New York – it seems here that if you’re vivacious and outgoing, it’s easier to get through. In terms of not quite having the same monetary foundation, money has never been a strong goal so that helped. What have been some highlights? My time in Tokyo was definitely a highlight – living there was so wonderful. I just went back with some friends and I was the tour guide showing them around, realizing how many wonderful places there are and the great memories that I have. Hiroki and I like to go back to Japan every year and still have an apartment there. We also have our blog, in both Japanese and English, so that keeps us connected in a way. Looking back, what are you most proud of? I’m a crier and an emotional person in general. On one project earlier in my career, the client told us they were going to sue the office and I burst out crying. They were really shocked, because it’s not professional to cry, but also because they didn’t realize why I was so upset. I took it as a personal insult because I was there every week and was the main point of contact. I didn’t understand why they would sue as we were working so hard and thought we were doing a good job, and building a great building is a team effort that you do together. I said, “How can you do that! We are doing our best.” I’m proud that I was honest about how I felt, because it seemed like such an inhuman thing to do on their part. Sometimes people do things without realizing the human aspect of it, the people involved. They ended up not suing us - I think I changed their attitude a little bit so I’m proud that I showed them exactly what I thought. What are the biggest lesson’s you’ve learned? One thing I’ve learned is that it’s surprising how you still carry the attitude and approach from the first firm you work at - which is a good thing! Did you think you’d be where you are today when you first started? No, not at all. I don’t think I ever looked ahead! A lot of things were serendipitous, like going to Tokyo, and meeting Hiroki, which is why I now have a firm today. Try different firms. If you don’t like what you’re doing and you can afford to change jobs, do it and keep trying to get something that you like. If you find that you don’t like architecture, try something else! We get a really great education, and there are a lot of qualities that we have, like being visually aware, that other professions love. Take advantage of that and don’t be afraid to make the leap and move on.